CRSPL Adds one more feather to its cap on 1st July 2017, launching of Tsomgo passenger ropeway at an altitude 13000 ft. (Approx. ), our 14th Passenger Ropeway. 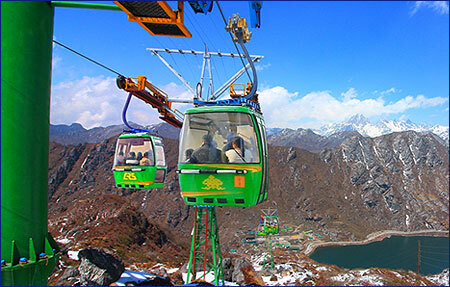 We are proud to have installed this ropeway which is one of the highest ropeways on the earth. 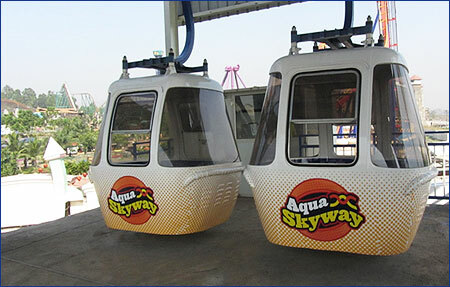 Design, Manufacturing, supply, erection and commissioning of a 500 PPH capacity, 218 M long Passenger Ropeway at Imagica, Khalapur, Raigad, Maharashtra. CRSPL has successfully commissioned at Bangladesh on turnkey a Passenger Ropeway at Eco Park and Aviary for exotic aquatic birds developed at Rangunia by Department of Forest, Govt.of Bangladesh through global tender. It was inaugurated by Dr. Hasan Mahmud, MP. Hon'ble State Minister. Ministry of Environment & Forests., Govt.of Bangladesh on 4th December 2014.This installation is an added attraction to the traffic coming to the park. The Ropeway is located in Central Part of India constructed in Hillock to transport pilgrimage traffic from the foot hill to the hill top. The Ropeway glides over a pond, through the forest area to the hill top giving a panoramic view of the surroundings. Design, supply, erection and commissioning of a 200 PPH capacity, 387 M long Passenger Ropeway at Karni Mata Mandir, Udaipur, Rajasthan. 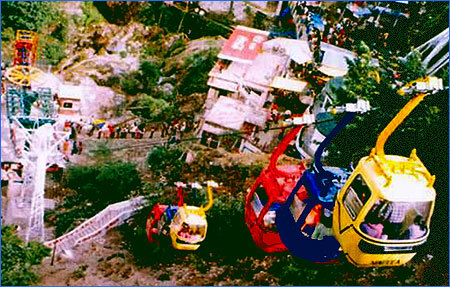 The Ropeway is located in the Northern Part of India constructed in Hillock to transport tourist traffic from the foot hill to the hill top. 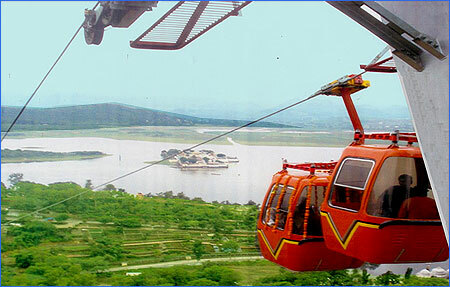 The Ropeway glides through the forest area to the hill top giving a panoramic view of the surroundings. The Ropeway is located in Central Part of India constructed across Narmada River over the Asia's Largest Marble Rock Cluster to transport Tourist traffic from one bank to the other side of the river. 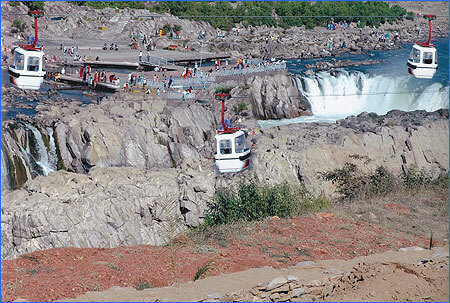 The Ropeway glides over the holy Narmada River giving a panoramic view of the surroundings & Magnificent Dhuadhar Falls. 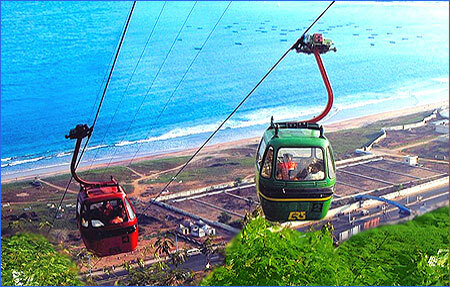 This is the first Coastal Ropeway in Asia. 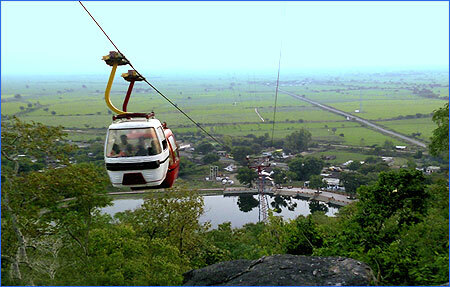 The Ropeway is located in Central South Eastern Part of India constructed in a Hillock to transport tourist traffic from the foot hill to the hill top. The Ropeway glides over the forest area giving a panoramic view of the beautiful Bay of Bengal, the City & the surrounding. 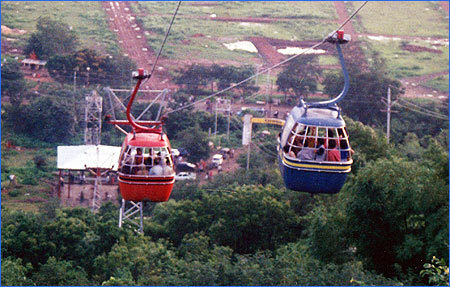 The Ropeway is located in the Capital city of one of India's central State. 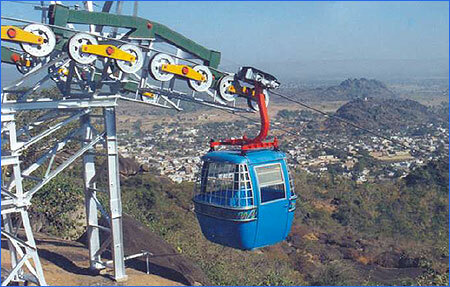 Built on a hillock, the Ropeway serves as an amusement means for the city dwellers in and around. From the top of the hill, a panoramic view of the city can be enjoyed. Built in the year 2001, it is being increasingly popular. 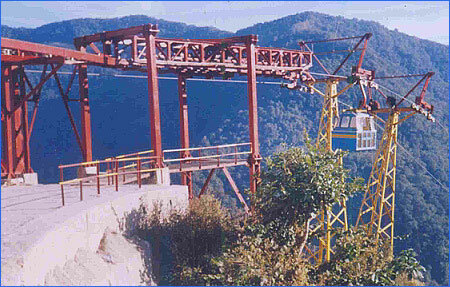 The Ropeway is located in Bhutan. The Ropeway was built to transport Man and material from upper station to the lower station. The unique feature of this Ropeway was that it was having an intermediate angular station with locking & unlocking module for cabin to halt at the station. After crossing the angle station the cabins used to negotiate more than 45 degree while itâ€™s way to lower station. 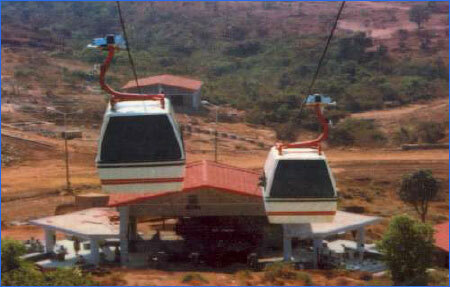 This Ropeway is the first Suburban Ropeway in India. 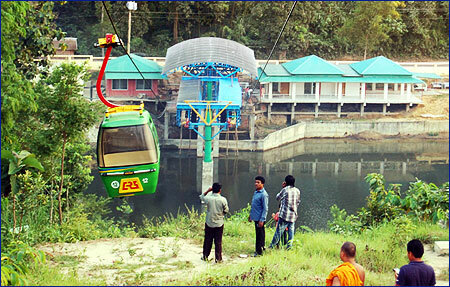 The Ropeway is located in Eastern Part of India constructed across a pond to transport tourist & local traffic. The Ropeway glides over the pond giving a panoramic view of the surroundings. 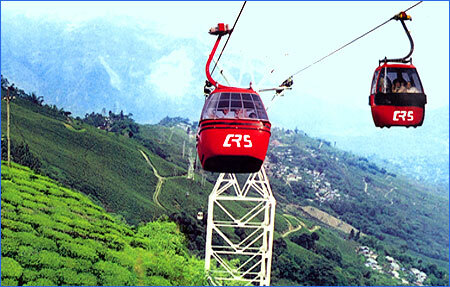 The Ropeway is located in the Northern Eastern Part of India. The Ropeway glides through the most amazing landscapes giving a panoramic view of the breathtaking Rangeet Valley with its dramatic snow capped Kanchenjunga peaks and lush green tea gardens of the Queen of the Hills. Built in the year 1996, this Ropeway in the Central Part of India was constructed on a hillock to transport pilgrimage traffic from the foot hill to the Temple atop. It is a Jigback System with two nos. 8 passengers capacity Cabins. The passenger load could be augmented during peak seasonal demand by adding two more Cabins. 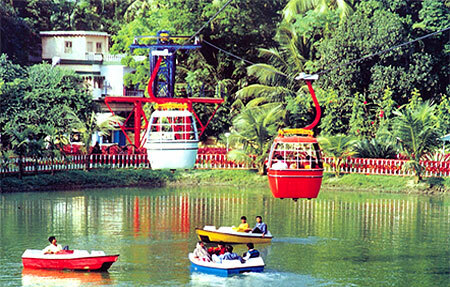 The Ropeway is located in the Western Part of India, constructed in the beautiful Aamby Valley Sahara Lake city. The Ropeway was built for their own purpose. Shree Dwarka Bee- Hive Plant (P) Ltd.
Shiv Shakti Steel (P) Ltd.
S.K. Coal & Coke (P) Ltd.
Shree Shyam Coal Co. Ltd.